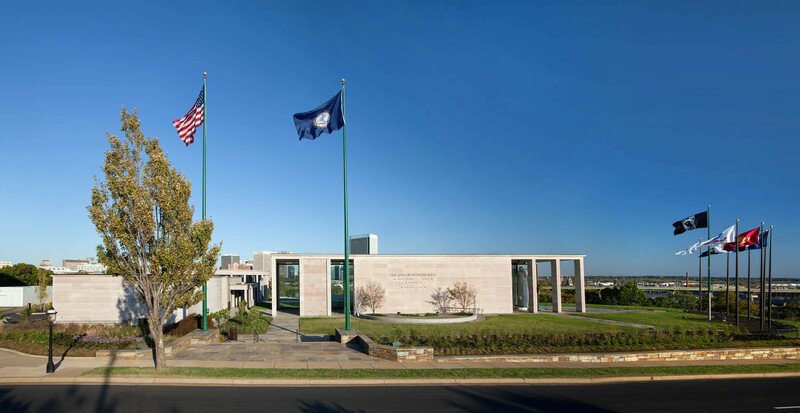 THE VIRGINIA WAR MEMORIAL FOUNDATION sought to expand the existing memorial facility to accommodate the Foundation’s educational initiatives as well as their current activities. 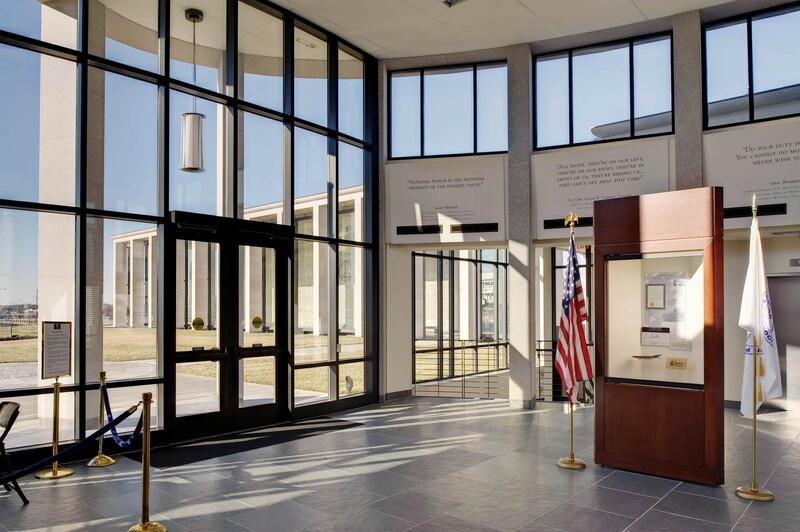 An Education Center was added to the Memorial’s Visitor Center, Hall of Honor Auditorium, and Shrine of Memory. 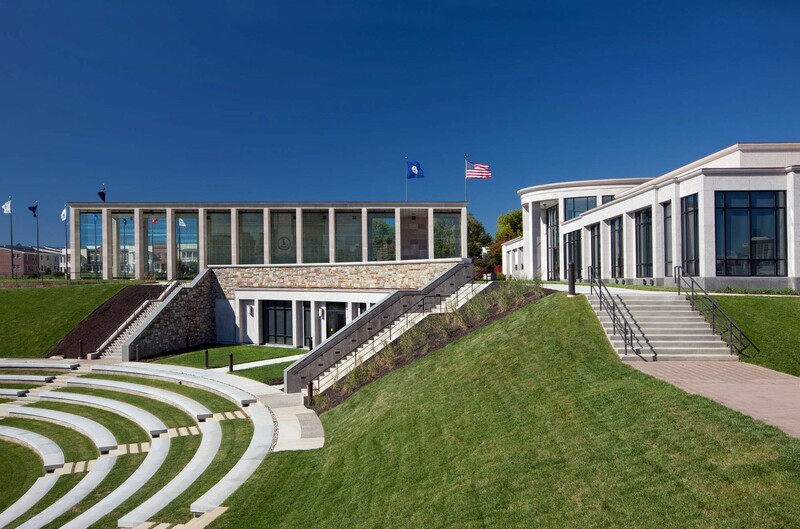 The new Center houses research, artifacts, and exhibits to honor the Commonwealth’s fallen heroes. The architecture of the Paul & Phyllis Galanti Education Center carries the language of the existing Shrine and building. 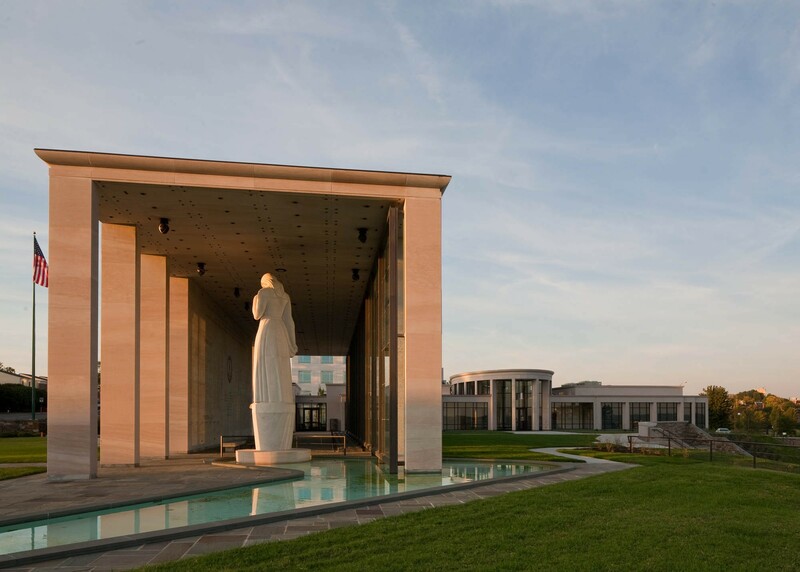 In order to preserve the prominence of the Shrine, a subterranean level was designed with a green roof and plaza at the Shrine level thusly retaining the open pastoral feeling and view of the James River. There is a quiet and inviting collection of building pavilion façades that frame the existing Shrine. Each façade is influenced by the existing materials. The fieldstone found in the original walls around the Shrine and in its patios informed the material for the lower level façade. The striated texture of the Tennessee Marble, which graces the Shrine, is complimented by a soft mottled granite in a color that accents the pink hue of the extant buildings. 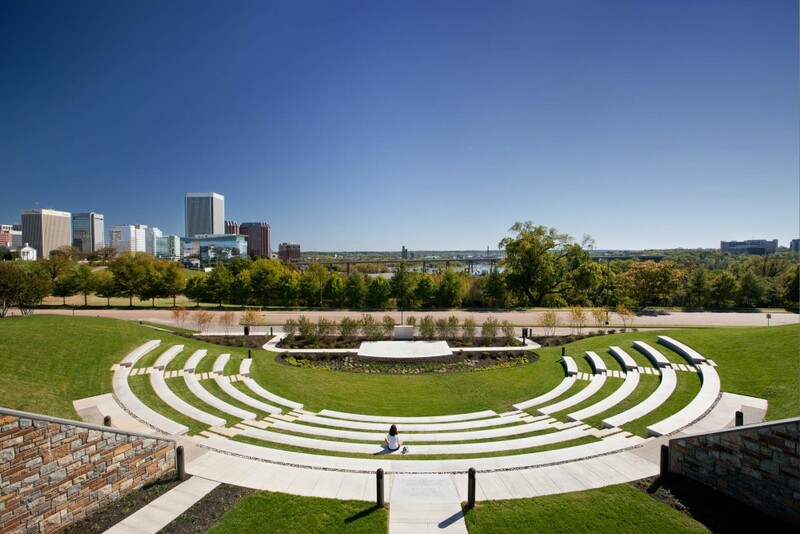 A new outdoor amphitheater takes advantage of the panoramic view from the Memorial’s location. 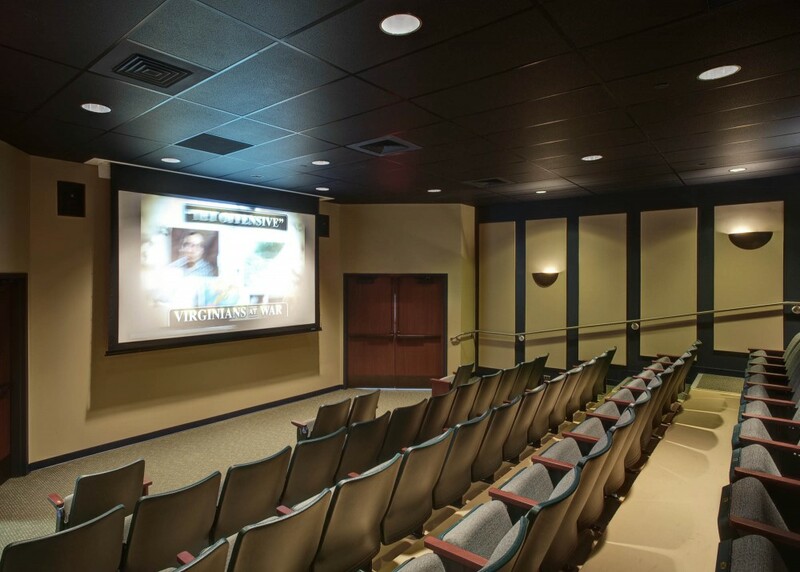 Previously under-utilized, the site now offers significant and integrated indoor and outdoor programming. The new wing provides space for large and small groups to tour the Memorial simultaneously. 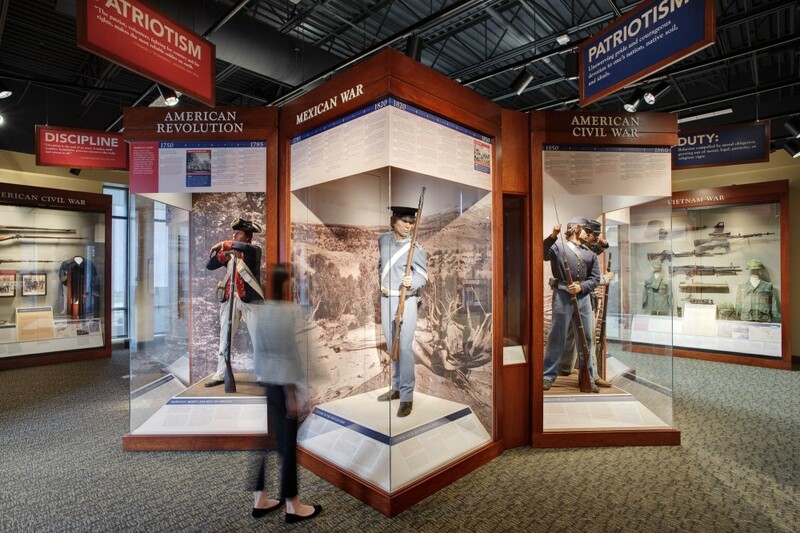 Educational programs may be viewed in three class-sized theaters and exhibits of battlefield artifacts may be examined. The Memorial also offers the opportunity to learn about the differences in uniforms, weapons, flags, and individual military equipment. 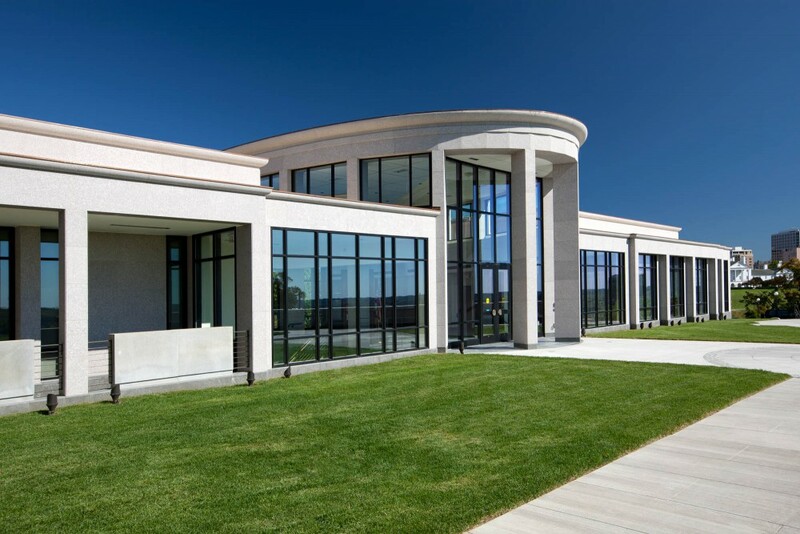 In addition, the new wing houses the necessary archival storage to preserve the collections and administrative spaces to operate the Memorial and its educational programs.